The line to use this beer and sake vending machine must be wrapped around the corner on the weekends. 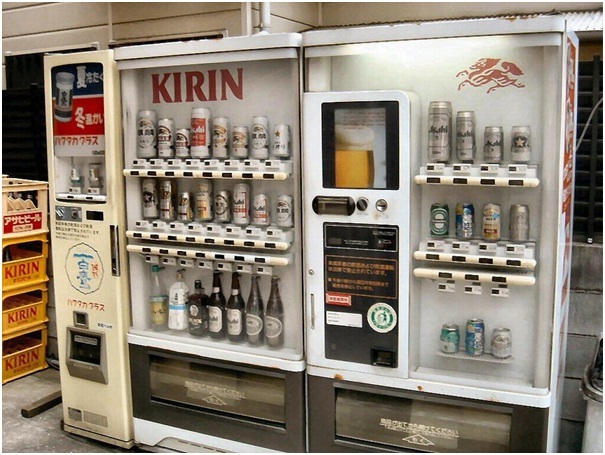 Other countries must be jealous, as this beer and sake vending machine is located in Japan. It is stocked with several different beer and sake brands. Sadly, this vending machine closes every night at 11 p.m.